Disability Awareness Week at Smithton School will take place April 1-5! 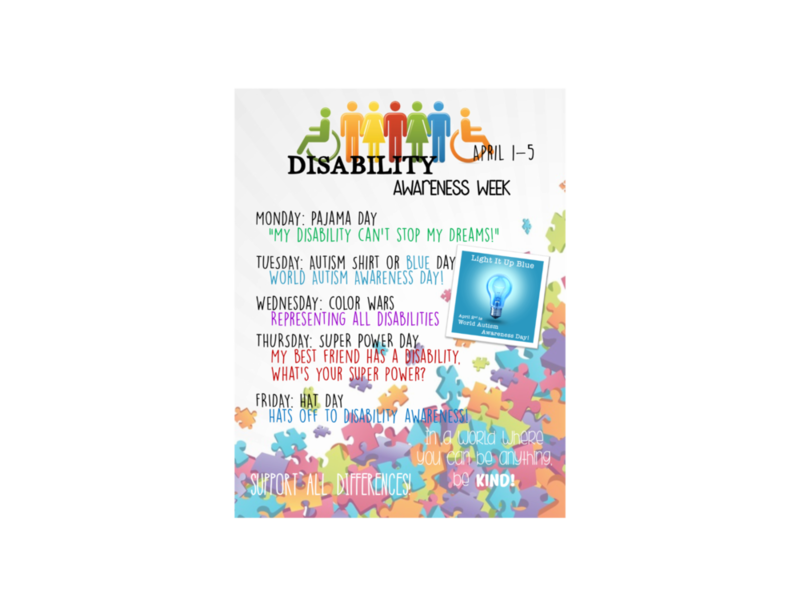 Please show your support and love for our students with disabilities by participating in our dress up days! Thank you for always showing that BEING KIND is the ONLY WAY to BE at SMITHTON SCHOOL!